At Strassburger McKenna Gutnick & Gefsky, we understand the unique needs of employers. Our attorneys have extensive experience working across multiple disciplines and within federal, state, and local laws, allowing them to customize their approach for each client’s needs. Our Employer-Employee Relations Practice is co-chaired by David A. Strassburger and Jean Novak, who is AV Preeminent® Peer Review Rated by Martindale-Hubbell®, attesting to her stellar reputation among peers. 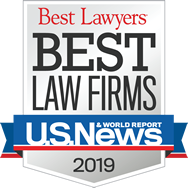 Strassburger McKenna Gutnick & Gefsky is Western Pennsylvania’s premier law firm for employment-related legal services. For more information, please contact one of the chairs of the Employer–Employee Relations group, David A Strassburger or Jean E. Novak.